Submitted by fernst on Fri, 12/02/2016 - 03:00. 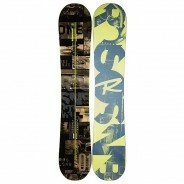 Transition from park kickers to deep powder without hesitation on the Salomon Assassin Snowboard. 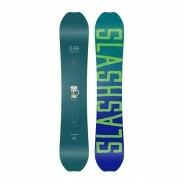 Combining Salomon's most progressive powder and freestyle shapes, the Assassin's versatility makes it a go-to choice for riders seeking one board to crush everything from waist-deep pow to slushy park laps. The key to the Assassin's all-terrain versatility lies within its Rock Out Camber. Submitted by fernst on Fri, 12/02/2016 - 02:50. It's tough to be in a bad mood when you're strapped into the poppy-playful goodness of the Slash Happy Place Snowboard. This ecstatically awesome board features a twin shape for a balanced feel when you're perfecting your switch skills in the park and cruising the mountain with a freestyle emphasis. It's a bit softer than other boards in Slash's line-up, making it ideal for non-stop park laps, urban jib missions, and mellow sessions where fun is at the forefront of your mind. Submitted by fernst on Fri, 12/02/2016 - 03:06. 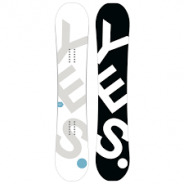 Ruling everything from jump lines to secret tree stashes, the Yes Basic Snowboard delivers a poppy feel, reliable edge hold, and solid strength. The Basic's twin shape keeps you perfectly balanced for freestyle riding, working nicely with the CamRock profile for a responsive, poppy feel. This profile places camber along the majority of the board's running length for locked-in turns and plentiful snap off kickers and natural hits. Just after the binding inserts, the board transitions to rocker at the tips. Submitted by fernst on Tue, 11/14/2017 - 22:47. Submitted by fernst on Fri, 01/20/2012 - 22:26. Submitted by fernst on Fri, 01/20/2012 - 22:25. Submitted by fernst on Tue, 12/18/2007 - 00:56. The Salomon Shade Snowboard provides a smooth and forgiving ride in all types of terrain. Offers the right flex and energy for a progressive ride with Salomon's most durable base. Submitted by fernst on Sat, 12/15/2007 - 02:40. Submitted by aturri on Sat, 12/15/2007 - 02:35. Submitted by aturri on Sat, 12/15/2007 - 02:33. Turning the Groms of today into the superstars of tomorrow.. A favorite of all the new school talent, the Fierce is a progressive adaptation of the highest end Salomon snowboards - the key to the mountain when you're ready to truly push your limits.